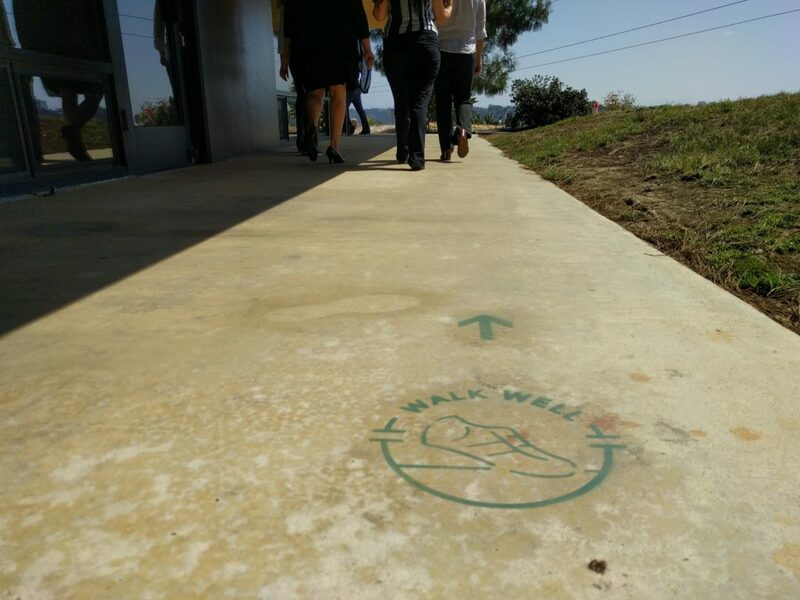 The San Diego County Office of Education (SDCOE) held an official Walking Challenge Kickoff Event on Monday, September 18th, 2017 to promote their new Live Well @ Work Walk Well Walking Routes. The day started with a mini-wellness expo with participation from several health providers, businesses, and community partners who offered healthy snacks and educational wellness materials to employees. 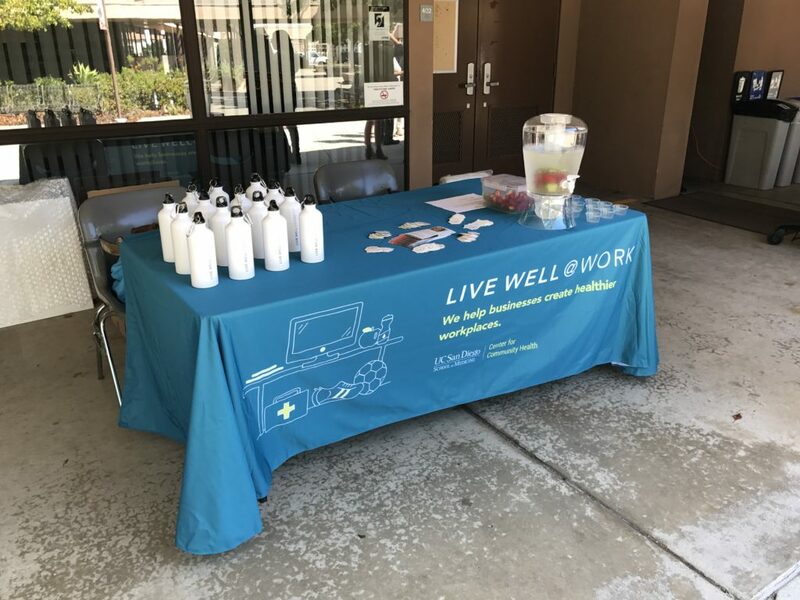 The Live Well @ Work team provided samples of a kiwi strawberry infused water, healthy recipe cards, Walk Well stickers, and reusable Live Well @ Work water bottles to inspire healthy habits. The Walk Well kickoff encouraged employees to take a break from sitting at their desks and was used to promote SDCOE’s upcoming wellness activities, including the launch of their walking challenge. Employees heard from SDCOE’s Assistant Superintendent, Jean Madden-Cazares, and Live Well @ Work Coordinator, Aaron Kunst, who promoted the importance of being physically activity as a part of a healthy lifestyle, especially at work. 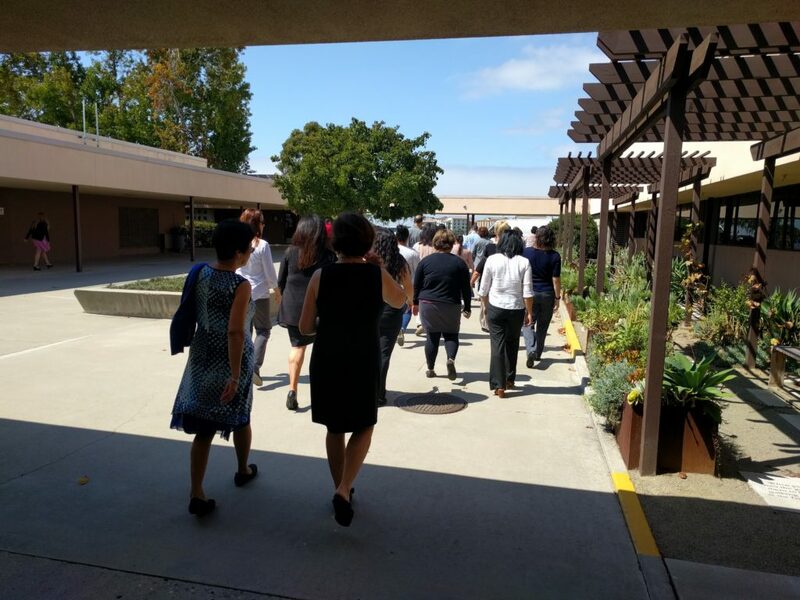 Jean Madden-Cazares then lead SDCOE employees on a 1/4 mile walk along the green Walk Well route to showcase their beautiful campus and the new walking route signage. 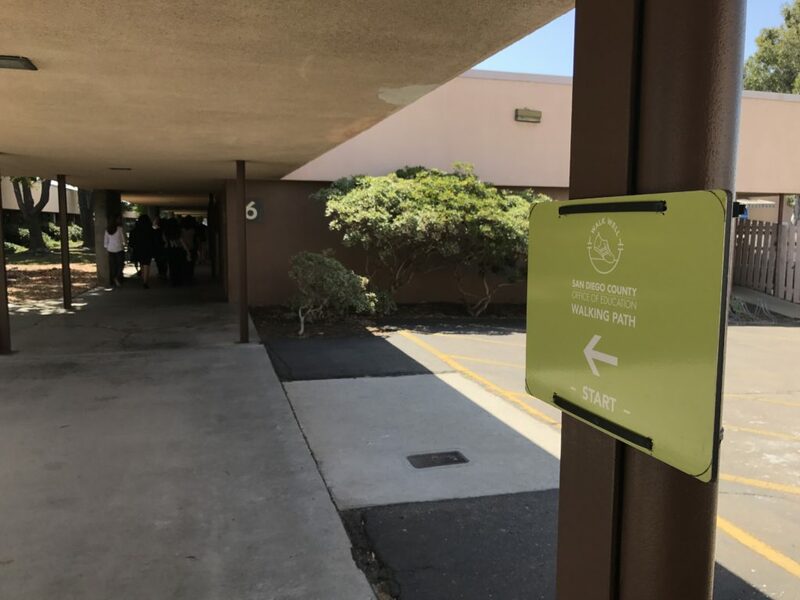 The hope is that employees will continue to use the Walk Well routes during the walking challenge and even after the challenge is over as a way to take an active break or engage in a walking meeting.